Welcome to the North America – the continent with some of the best skiing and snowboarding regions on Earth. Just think about the champagne powder of the Rocky Mountains, deep tree runs of British Columbia or epic lines of Alaska. 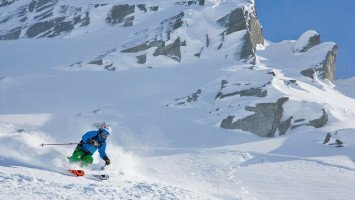 All of these destinations offer the most developed infrastructure for freeride, freestyle or ski-touring enthusiasts on every level. Talk to our snow experts about YOUR ideal trip. North America is home to some of the best skiing and snowboarding in the world. On a ski trip to this huge continent you can expect massive snowfall and untracked terrain. 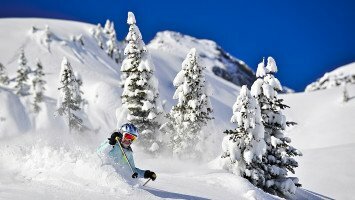 You can enjoy exploring Mother Nature’s wild and beautiful places on two skis or your snowboard during the day, but here you can count on returning to an inviting lodge, luxurious hotel or almost any other type of accommodation that is perfect to suit your needs to relax and gear-up for another day on the mountain. North American countries, Canada and the USA both have a strong skiing and snowboarding culture and hundreds of resorts and snow trip providers so you can choose from a large variety of trip types and find something for every budget and style. From Alaska in the far west, through British Columbia and into the Rocky Mountains of the USA there’s more powder in North America than practically anywhere in the world. Canada, the second largest continent in the world by total area, though one of the more sparsely populated lands, is known for some of the steepest and deepest powder around and lots of wide open spaces to enjoy, far from the big cities. Most skiing terrain in Canada is located on the two coastal provinces, with the best slopes in the mountainous province of British Columbia on the west coast. The USA shares a northern border with Canada and is also known for great terrain across the county, but especially along the western and central regions where the Rocky Mountains offer epic steeps and reliable conditions. But the real star of the USA ski scene, according to many powder hounds, is tucked away in the far northwestern corner, in a place that is often called the Last Frontier: Alaska. In Alaska you’ll find some of the world’s steepest slopes and most adventurous skiers and snowboarders. 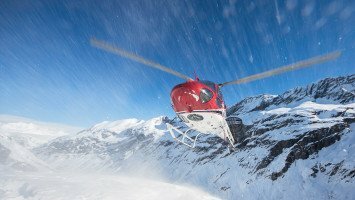 Heli-skiing in Alaska offers the chance to experience some of the wildest terrain in the world. Canada and the USA are known for their friendly people and welcoming atmosphere so you can expect to enjoy top notch service at your accommodation and a great time on and off the slopes. Traveling to North America from most parts of the world couldn’t be any easier. British Columbia is the perfect choice for international travelers with many top resorts located within a few hours of an international or regional airport. 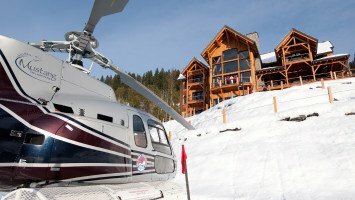 In the lower-48 states of the USA you’ll find that most ski resorts in the Rockies are less than 3 hours from a major airport. North America is all about variety and choice. With more trips available than anywhere in the world except Western Europe, North America has something for every type of traveler, budget and ability, so you don’t have to settle for less than the perfect trip here. Though it’s known for some of the best snow in the world, North America has a lot more to brag about than just the powder, for instance, a trip to Alaska might give you the chance to see the breathtaking Northern Lights also known as the Aurora Borealis a common occurrence in the state, or head down to the lower USA to spend some time hanging out in the many snow resort villages that put a whole new spin on the classic alpine style. 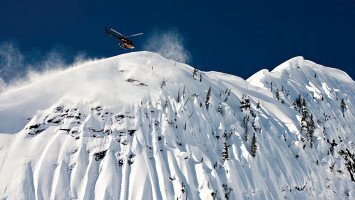 If you’re interested in heliskiing or snowcat skiing, North America is one of the best places to go. 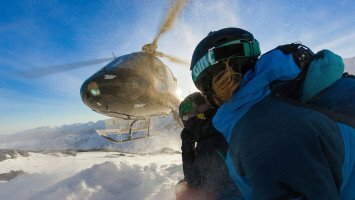 You can choose from many heliski operators across the continent, most of which use a snowcat for back-up on those rare bad weather days, though there are also many choices for those who want a more affordable option with just catskiing. 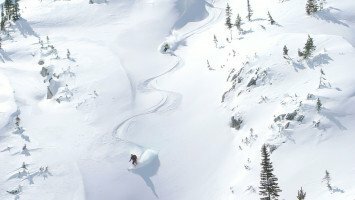 It doesn’t stop there; in North America you’ll find a little of everything including freeride, ski touring, and freestyle trips. LUEX also has something for every type of traveler and every level of skier and snowboarder in North America, including a wide selection of trips suited for intermediate, advanced and pro skiers and riders, and a few that are perfect for beginners. North American ski trips are also suited to every budget with everything from ultimate luxury to budget trips available and dozens of medium-priced and luxury trips too. 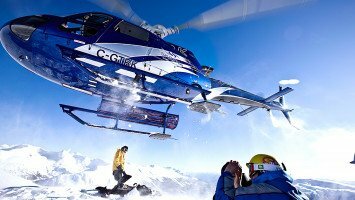 Many of our most popular trips are in North America including heliski trips in Alaska and catski trips in Canada. 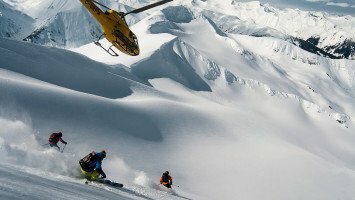 In Alaska you can choose from several heli trips including the Point North Heli trip a skier favorite, Valdez Heliskiing, and Heliski Seaba Haines, or go for the “trifecta” three trips in one with the Chugach Powder Guides where you can heliski, snowcat ski and tear it up at the resort too. Some of the world’s biggest mountains, most reliable conditions and softest champagne powder are what makes North America an awesome place to ski and snowboard. But when you factor in the wide range of accommodations, trips suited to every budget and the convenient location of most trip operators and resorts, it’s pretty clear why North America is home to some of LUEX’s most popular snow trips. Are you ready for the ski trip of a lifetime? Let LUEX help you find the perfect North America ski trip.